Many allegations of domestic violence are false or exaggerated. When an argument escalates out of control, emotions can run high. One person might be intoxicated or under the influence of a controlled substance. The allegations might even be used as a way to gain an advantage in divorce or child custody proceedings. Whatever the situation, the charges are serious. Any charge of domestic violence in Florida constitutes a serious crime of violence, and it should be taken seriously. A conviction will result in the loss of certain civil rights including a lifetime ban on the right to possess a firearm. Even if the court “withheld adjudication,” you can never seal an arrest record related to these charges, including a misdemeanor charge of domestic battery. Domestic violence charges should be taken seriously. The charges can result in jail time or probation, counseling requirements, community service and fines. Also, there are social repercussions associated with domestic violence that could last a lifetime. You could lose your job, your children and even have difficulty renting a home. 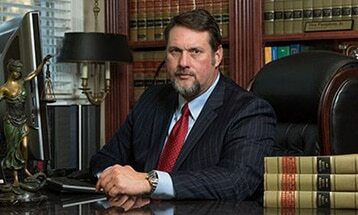 Protect your rights and your family by hiring an experienced criminal defense lawyer in Tallahassee. The alleged victim might also petition the court for an order of protection (often called the “restraining order”). If the allegations are false or exaggerated, you should fight the allegation at a hearing so that the petition can be dismissed. If an order of protection is entered against you, it will show up in even the most basic background check. Employers worry more about orders of protections than criminal convictions. The attorneys at Pumphrey Law understand the severity of the situation, and they will work to help you fight charges of domestic violence. Your freedom and your reputation are at stake. You do not have to face the charges alone. The attorneys at Pumphrey Law can help you fight for the best possible results in your case. Pumphrey Law represents clients throughout Tallahassee and the surrounding areas of North Florida including Monticello in Jefferson County, Crawfordville in Wakulla County, Quincy in Gadsden County and Bristol in Liberty County. Contact Pumphrey Law at (850) 681-7777 for a consultation about your domestic violence charge. What is Considered Domestic Violence in Florida? The definition of domestic violence in Florida is defined by Florida Statutes § 741.28 as any assault, battery, aggravated assault or battery, kidnapping, false imprisonment or other criminal offense committed by a household or family member that results in the injury or death to another household or family member. According to this Florida law, the definition of a household member can include a spouse, former spouse, person related by blood or marriage, people who had a child together or a person who resides with another as a family member or has resided in the past. The alleged offender and the accused must currently or previously have resided together in the same single dwelling unit to be considered a family or household member under Florida law. However, parents who have a child in common do not have to live in the same home. This term refers to communicating with a specific person through electronic mail, such as e-mail, that causes substantial emotional distress to a person, and the communication serves no legitimate purpose. Dating violence is defined as violence between two people who have or have had a continuing and significant romantic or intimate relationship. The relationship must have existed within the past six months, and there must have been some kind of affection or sexual involvement between the parties for a continuous period. This type of violence does not include casual relationships or violence between those in business or social contexts. Adomestic violence injunction is a court order that prevents an alleged domestic violence offender from doing certain acts or mandating them to complete certain requirements. It is more commonly known as a restraining order or protective order. This term means to direct certain conduct to a specified person that causes that person severe emotional distress and the conduct serves no legitimate purpose. Florida Statutes § 784.011 defines assault as the intentional act of violence, or threat to cause violence, to someone else, with an apparent ability to do so that causes fear in the other person that the act is imminent. This offense is punishable as a misdemeanor of the second degree. This type of assault involves a deadly weapon, or an intent to commit a felony, according to Florida Statutes § 784.021. This offense, if convicted, is a felony of the third degree. This act is defined as actually and intentionally touching another person against his or her will, or intentionally causing harm to another person, according to Florida Statutes § 784.03. This act generally is punishable as a misdemeanor of the first-degree. If someone has a prior conviction, it could be charged as a felony of the third-degree. Florida Statutes § 784.041 defines this act as actually intentionally touching another person against his or her will, and causing great bodily harm or permanent disability or disfigurement. This offense is punishable as a felony of the third-degree. This act is defined in Florida Statutes § 784.041(2)(a) as knowingly and intentionally impeding the normal breathing or circulation of a family or household member or a person in dating relationship, against that person’s will, and by doing so creates a risk of great bodily harm. This could be a third-degree felony. This act is a battery with the use if a deadly weapon that intentionally or knowingly causes great bodily harm or permanent disability or disfigurement to another, or is a battery upon a pregnant woman that the offender knew or should have known was pregnant. This offense under Florida Statutes § 784.045 is a second-degree felony. This offense is defined under Florida Statutes § 784.048 as the willful, malicious repeated following, harassing or cyberstalking of another person against his or her will. This is a first-degree misdemeanor. Domestic violence victims, or people who have reasonable cause to believe he or she is about to become one, may ask a court for protection. The victim, or potential victim, could file a petition requesting a court order directed at the abuser. The court can offer temporary injunctions that can provide fast and easy protection for the victims. When a request for this is filed, the court will schedule a hearing as soon as possible. If a judge decides there is an immediate danger of domestic violence, he or she could issue an order directed at the alleged abuser. The alleged abuser does not need to be at the hearing for this to happen. If a person violates the order, he or she could face criminal charges. A violation of domestic violence injunction is defined as willful violations of a domestic violence injunction under Florida Statutes § 741.31 (4)(a). Examples of this offense can include refusing to vacate the shared home, going to the petitioner’s work, school, or residence or committing an act of domestic violence against the petitioner. With a domestic violence injunction, the alleged abuser most likely would be required to avoid contacting the petitioner, coming within a certain distance of the petitioner’s vehicle and destroying the petitioner’s personal property. Any such violation is a misdemeanor of the first degree. Pumphrey Law can work with families who have to go through protective order hearings. These hearings are used primarily to look into the facts of the case to see if the protective order itself is warranted and necessary. Penalties for domestic violence can vary depending on the offense, who the victim was, the age of the victim, whether a weapon was used in the commission of the offense and whether the alleged offender has a previous criminal history. The penalties could be misdemeanors or felonies. Second-degree misdemeanors can lead to 60 days in jail, fines up to $500 or both. First-degree misdemeanors can include up to one year in jail, fines up to $1,000 or both. Third-degree felonies can include prison time up to five years, fines up to $5,000 or both. Second-degree felonies can lead to prison time up to 15 years, fines up to $10,000 or both. This website has information for victims of domestic violence in Leon County, Florida. The Leon County Sheriff’s Office established the Victim Advocate Unit in 1995 to provide services and assistance to victims of domestic violence. FCADV desires to create a violence-free world and provides leadership, education, training, technical assistance, advocacy and support to domestic violence center programs. If you were convicted of a domestic violence charge in the Florida Panhandle, contact an experienced Tallahassee criminal attorney at Pumphrey Law to discuss the facts of your case. The attorneys at Pumphrey Law can help you determine possible defenses to your charge and fight to achieve the best possible outcome in your case and help you avoid serious punishments. Contact Pumphrey Law at (850) 681-7777 for a free case evaluation.